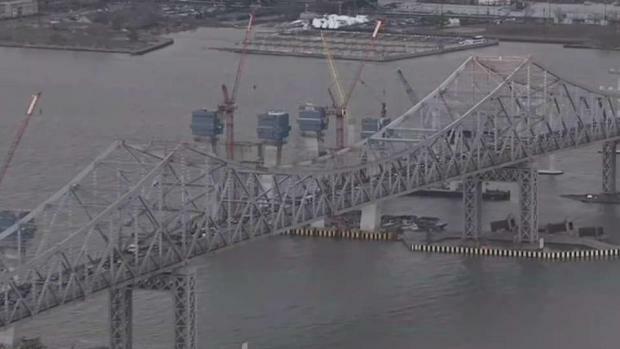 High winds have caused a delay in the demolition of the Tappan Zee Bridge that was previously scheduled for Saturday. Businesses in the Hudson Valley were prepared for the demolition and have now found themselves impacted by the delay. NBC 4's Gaby Acevedo reports. 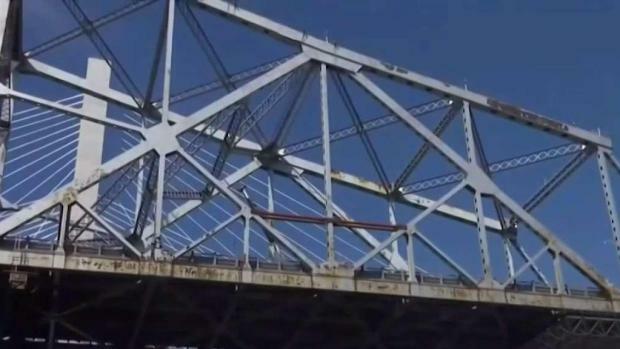 Saturday's planned demolition of the Tappan Zee Bridge has been postponed to next Tuesday due to weather concerns. Workers were expected to use explosive charges to demolish the remains of the old bridge Saturday morning. But Piermont Police Department Chief Michael O'Shea on Thursday said the demolition would be pushed back, telling LoHud state officials were concerned about the possibility of high winds Saturday morning. "With controlled demo, there's a concern that stuff could blow into the channel of the shipping lane," he told the outlet. 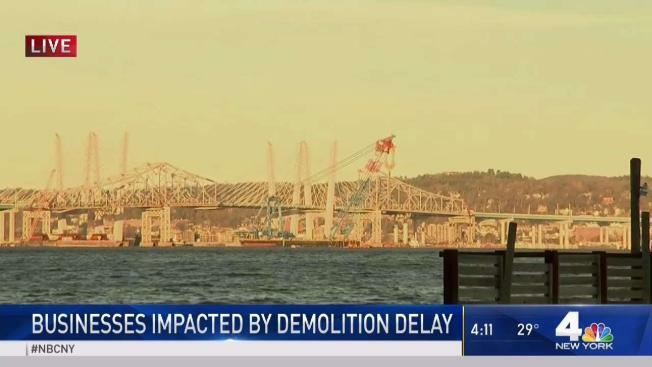 People across the area are planning their Saturday morning around the demolition of the remaining part of the Tappan Zee Bridge -- and local restaurants are gearing up for huge brunch crowds with actual demolition viewing parties. Gus Rosendale reports. The postponement was a disappointment for would-be spectators who had planned to attend demolition viewing parties at venues near the bridge. But they won't have to wait long -- the state Thruway Authority announced Friday that the demolition is happening Tuesday, Jan. 15 at 10 a.m.
Traffic is expected to be stopped for about 45 minutes, and crews will begin to close entrance ramps to the northbound/westbound Thruway at exit 9 (Tarrytown-Sleepy Hollow-Route 9), Route 119 in Elmsford and Saw Mill Parkway (exit 22). Entrance ramps to the southbound/eastbound Thruway will also be closed at exit 10 (Nyack-South Nyack-Route 9W) and exit 11 in Nyack (Nyack-South Nyack-US Route 9W). Motorists are strongly advised to avoid travel in this area during this time, the Thruway Authority says. Those traveling in the area at the time should expect severe delays and plan accordingly, including seeking alternate routes. The new Cuomo bridge replaced the Tappan Zee. The major thoroughfare spans the Hudson River between Tarrytown in Westchester County and Nyack in Rockland County. The original plans were to avoid the use of explosives that could have an impact on fish habitats. But experts determined the old bridge was structurally unsound, preventing workers from continuing a piecemeal takedown.